8 Fashion Brands You Didn’t Know Were Made in the U.S.A. They may not exactly holler it from their loft-tops, but several big-league fashion brands are making "made in America" more glamourous than ever, even as their peers decamp to cheaper facilities in Asia. Whether born of pragmatism, patriotism, or cachet, here are eight unexpected fashion labels that continue to carry a torch for Old Glory. 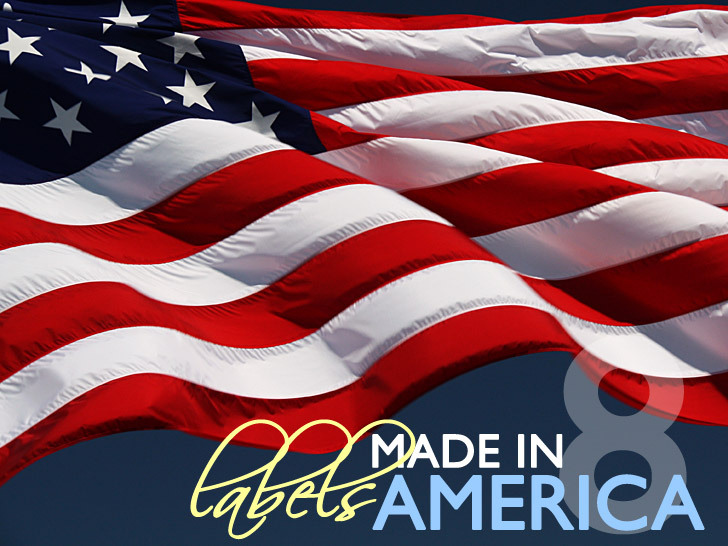 In the swinging ’60s, 95 percent of clothing sold in America were made in America, according to PBS. Fast-forward 50 years and that number now floats at 5 percent. The tide may be turning once again with sustainability and heritage (with a capital “H”) on the ascent, especially with smaller, artisanal brands, but the number of major fashion labels that continue to maintain a foothold in domestic manufacturing may surprise you. Here are eight popular companies that are keeping the home fires burning. You're right, @sciencedork! My bad! That Rag and Bone blurb is just a paraphrase of their website's claim, which says "Whenever possible, the majority" is made in the U.S. Guess what? It's always possible, but that claim promises nothing at all. 8 Fashion Brands You Didn�t Know Were Made in the U.S.A.
New York designer Nanette Lepore is at the forefront of a movement to save the city's crumbling Garment District. Lepore cuts, pins, sews, and boxes 85 percent of her line—or 20,000 garments a month—within a few blocks of her office on West 35th Street. But it's more than altruism that motivates her. "We can control our inventory," she told the Nightly Business Report on PBS in March. "We have speed to market. If Saks is selling out of a top, I can re-cut it and have it back in their stores in 10 days to two weeks." Mary-Kate and Ashley Olsen's American-made line, The Row, isn't your typical celebrity vanity project. The former Full House child stars have earned critical plaudits, a cult following, and a Council of Fashion Designers of America Award nomination. Marcus Wainwright and David Neville set out to make jeans with no formal fashion training, but in eight brief years, Rag & Bone has emerged as a bastion of crisply tailored, modern sportswear. Despite the strong British influence, Rag & Bone is consummately American, with the majority of their garments crafted in U.S. factories that still sew clothes the way they did half a century ago. Nicole Miller is willing to fork over a premium in labor costs to maintain strict quality control, even if she doesn't capitalize on the rah-rah aspect of keeping a sizable chunk of production at home. Although the label was one of the first to head east to Hong Kong in the '70s (back when it was known as P.J. Walsh), CEO Bud Konheim led the charge back to Seventh Avenue by 1982. "It wasn't patriotism. It was just good business sense," he told the New York Times in 1995. "Production became very efficient here, and we ended up with a better net profit. I am one of many people that played out that scenario." Texas native and Parsons grad Lela Rose can frequently be found squiring her children around New York City on a custom-built tricycle and wagon. With a studio and showroom in the Garment District, Rose's sleek, ladylike ensembles are as much a product of Manhattan as she is, even if the fabrics are imported from Italy. They may sport fancy imported fabric such as Japanese luxe twill, but J Brand's denim pants and leggings are, for the most part, made in the United States. That's including its bestselling cargo pant, the Houlihan, which sold close to 100,000 pairs—and caused epic meltdowns in stores across the country—in 2010. Dubbed the "next Oscar de La Renta," Jason Wu was launched into the spotlight parsecs after dressing First Lady Michelle Obama for the Inaugural Ball. His response to his newfound fame was to move into a larger studio "deeper into the Garment Center," he told the Huffington Post in April 2010. "I can't think of anywhere where I could go two blocks away and find a hand sewer that can drape a dress miraculously in less than 48 hours," he said. "All my resources are here. It would only make sense for a designer who's very hands-on to be in the midst of where it all takes place."